This is Down On The Street Bonus Edition, where we check out interesting street-parked cars located in places other than the Island That Rust Forgot. Today we're heading back to Toronto, a city that's given us all manner of interesting old iron in the past, from the Alfa Romeo Giulia Nuova Super 1600 to just about everything else. Twilight Sentinel has found one of the rarest machines of them all, a Gorbachev-grade '87 GAZ Tchaika 14… and it's for sale! Jump away to learn more. First, we need to get in the right mood to appreciate this fine automobile. A little music, comrades? What do you think about that $27,500 (Canadian) price tag? Maybe we need a Down On The Crack Pipe Bonus poll! 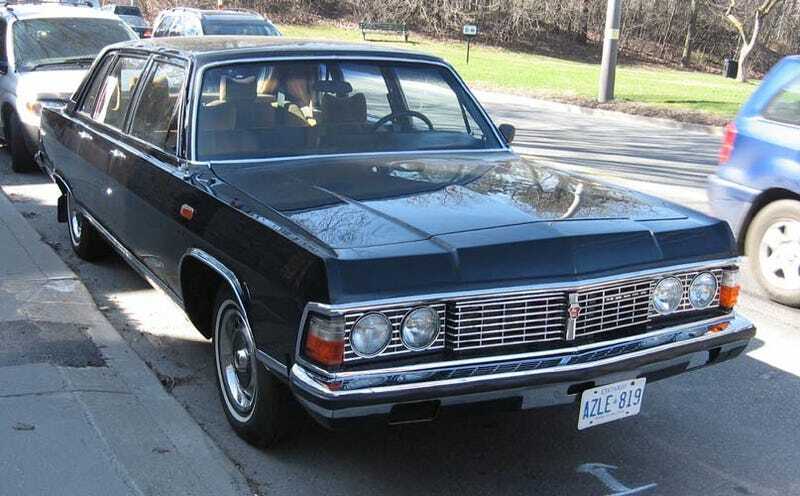 27,500 Canadian dollars for an '87 GAZ Tchaika 14?